And here we come to the very end of Bookmark Week with John Watson. He’s leaning against a cool grey wall, and he’s been colored all in warm and cool greys himself, even his face and hair, just like Lestrade yesterday. The skull is grinning white from above, though I admit I didn’t get too enthusiastic and do the wallpaper properly. 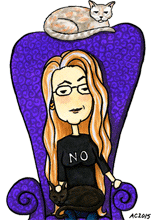 If you did want a bookmark of your own, you can check out the ones that are still available here. They make great stocking stuffers! 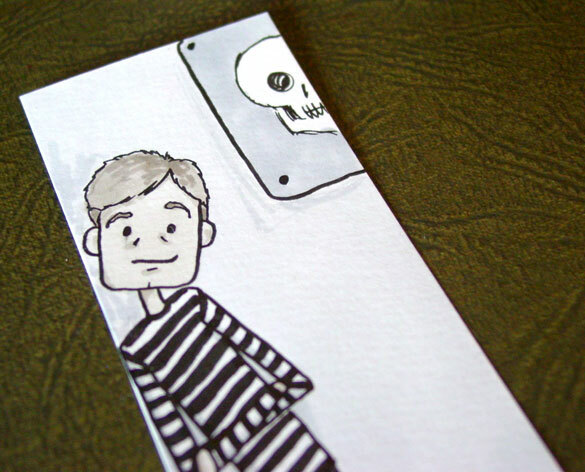 John Watson Bookmark 1, 1.875″ x 4.875″ pen & ink and Copic markers on paper, nfs (sold). Above, you can see John leaning shyly against the wall, hoping you’ll like him. 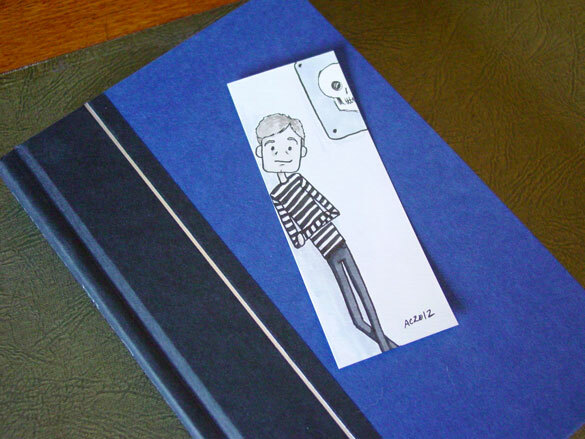 Below, he’s hanging out with a book, like bookmarks do.